On June 6, 2018, the U.S. Environmental Protection Agency (EPA) presented its Excellence In Site Reuse Award to ExxonMobil Corporation and Enso Properties LLC for outstanding work in promoting the reuse of the Sharon Steel/Fairmont Coke Works Superfund Site in Fairmont, West Virginia. 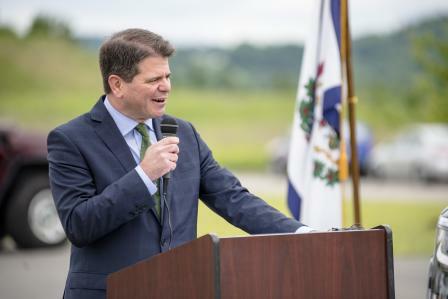 “ExxonMobil Corporation and Enso Properties have worked aggressively to convert a formerly contaminated 97-acre site into property that is productive again for the community and ripe for more redevelopment,” said EPA’s Mid-Atlantic Regional Administrator Cosmo Servidio. “These companies have partnered to enhance the quality of life in a West Virginia community through a commitment to protecting the environment and enriching neighborhoods,” he continued. The West Virginia State Police Troop 1 Headquarters is built on a three-acre portion of the Sharon Steel/Fairmont Coke Works site with 50 additional acres currently available for reuse. Along with the award presentation, EPA’s Regional Administrator Servidio also announced that the City of Fairmont will receive a $200,000 Brownfields grant to conduct site assessments on properties that may be contaminated and determine the feasibility for cleanup and redevelopment. Assessments will focus on the Riverfront, Downtown, and University Districts. Funds also will support community outreach. EPA placed the Sharon Steel/Fairmont Coke Works site on its Superfund National Priorities List in 1996 due to soil, surface water and groundwater contamination from years of coke production, waste treatment and waste disposal operations that took place prior to 1973. ExxonMobil is responsible for the cleanup. 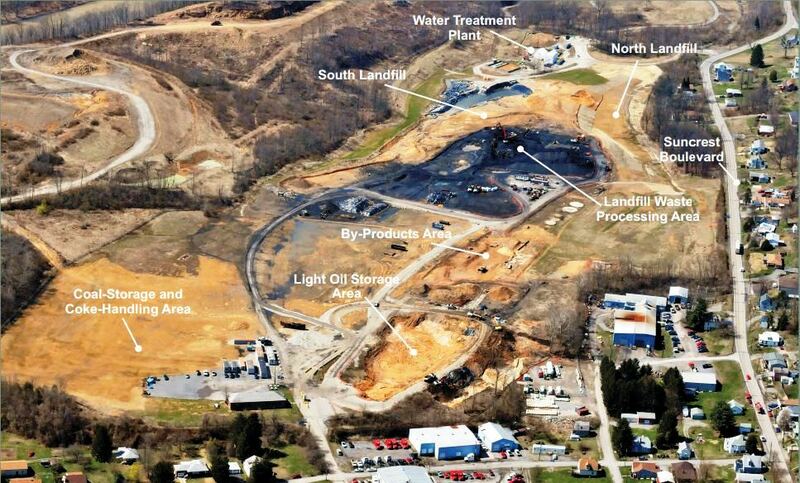 EPA and the West Virginia Department of Environmental Protection (WVDEP) have oversight for all cleanup activities. In 1999, EPA, WVDEP, the City of Fairmont, and other local partners, entered into a Project XL (Excellence and Leadership) Agreement with ExxonMobil. Project XL was an EPA national program developed to test innovative strategies to achieve better and more cost-effective environmental and public health protections. The project at the Sharon Steel/Fairmont Coke Works site focused on aligning cleanup and reuse priorities. Green remediation practices have been used during the cleanup including the recycling of waste that was excavated from the landfill. Enso Properties, L.L.C. was the real estate entity that aggressively focused on having the new State Police Headquarters constructed on the site. All images courtesy of EPA. Featured image at top shows site in 2009. See EPA Region 3 website for the Excellence in Site Reuse Award. See 2011 EPA project overview for site (PDF).